From phone camera snapshots to lifesaving medical scans, digital images play an important role in the way humans communicate information. But digital images are subject to a range of imperfections such as blurriness, grainy noise, missing pixels and color corruption. A group led by a University of Maryland computer scientist has designed a new algorithm that incorporates artificial neural networks to simultaneously apply a wide range of fixes to corrupted digital images. Because the algorithm can be “trained” to recognize what an ideal, uncorrupted image should look like, it is able to address multiple flaws in a single image. The research team, which included members from the University of Bern in Switzerland, tested their algorithm by taking high-quality, uncorrupted images, purposely introducing severe degradations, then using the algorithm to repair the damage. In many cases, the algorithm outperformed competitors’ techniques, very nearly returning the images to their original state. The researchers presented their findings on December 5, 2017, at the 31st Conference on Neural Information Processing Systems in Long Beach, California. Artificial neural networks are a type of artificial intelligence algorithm inspired by the structure of the human brain. They can assemble patterns of behavior based on input data, in a process that resembles the way a human brain learns new information. For example, human brains can learn a new language through repeated exposure to words and sentences in specific contexts. Zwicker and his colleagues can “train” their algorithm by exposing it to a large database of high-quality, uncorrupted images widely used for research with artificial neural networks. Because the algorithm can take in a large amount of data and extrapolate the complex parameters that define images—including variations in texture, color, light, shadows and edges—it is able to predict what an ideal, uncorrupted image should look like. Then, it can recognize and fix deviations from these ideal parameters in a new image. Zwicker noted that several other research groups are working along the same lines and have designed algorithms that achieve similar results. 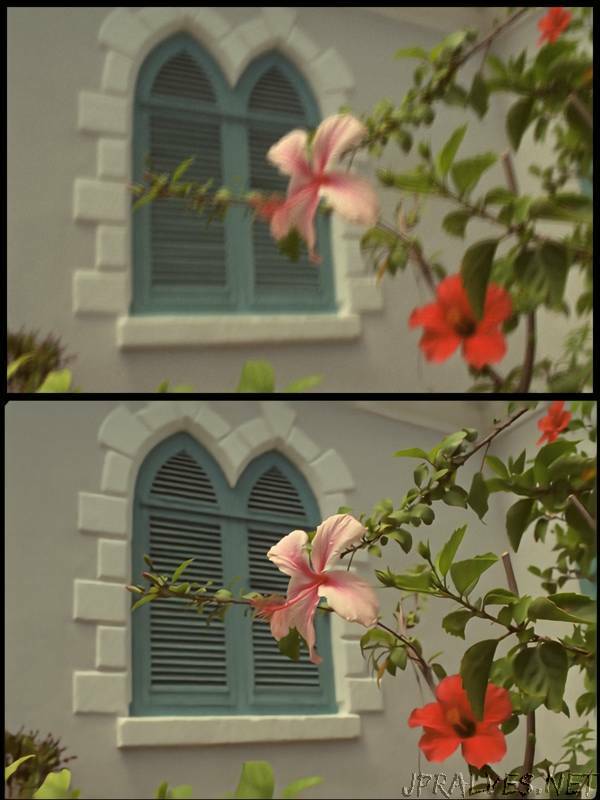 Many of the research groups noticed that if their algorithms were tasked with only removing noise (or graininess) from an image, the algorithm would automatically address many of the other imperfections as well. But Zwicker’s group proposed a new theoretical explanation for this effect that leads to a very simple and effective algorithm. Zwicker also said that the new algorithm, while powerful, still has room for improvement. Currently, the algorithm works well for fixing easily recognizable “low-level” structures in images, such as sharp edges. The researchers hope to push the algorithm to recognize and repair “high-level” features, including complex textures such as hair and water.